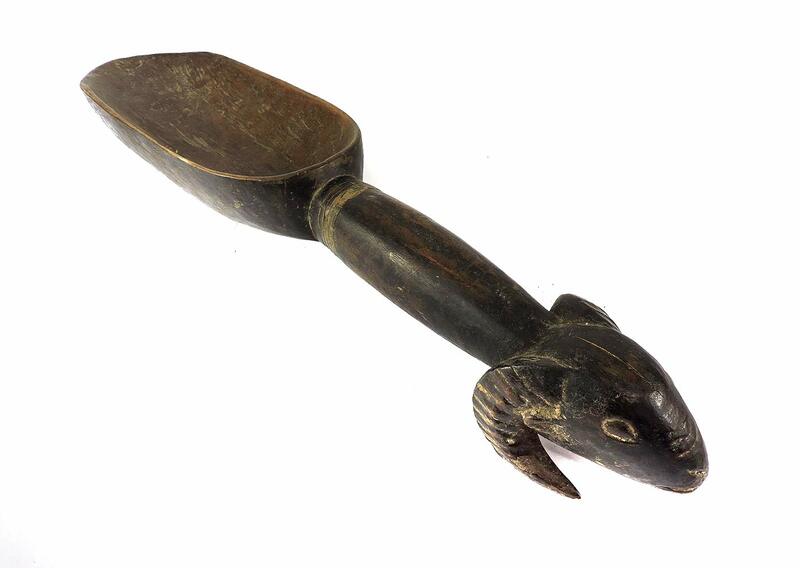 Additional Information: Elaborate spoons, sometimes in the shape of female figures, or with faces, were awarded to women known as wunkirile who had been judged by their peers and elders of their village to be the most generous and hospitable to others of their village quarter. 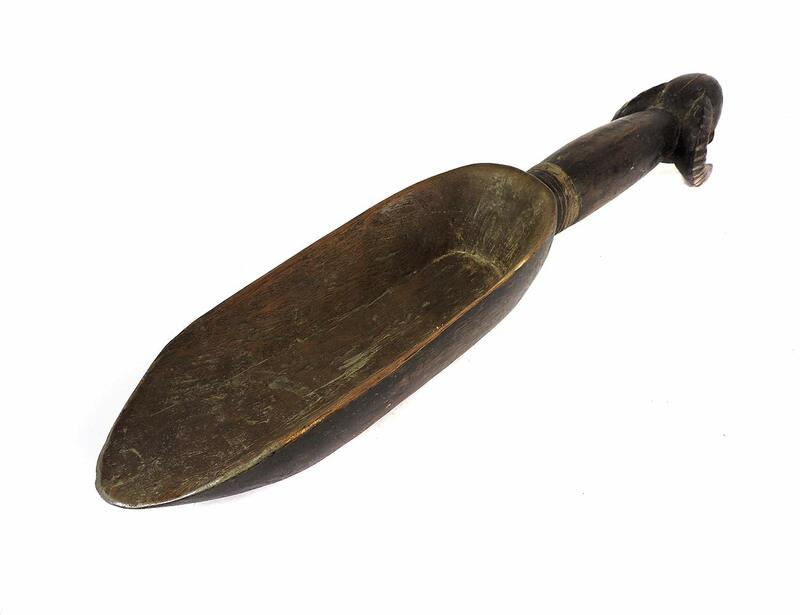 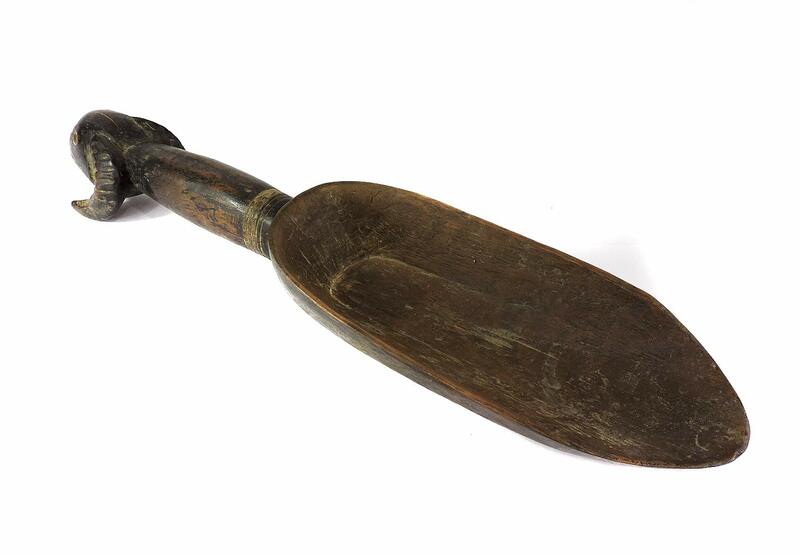 Spoon shaped carvings such as this are best described as feast ladles used by their owner to offer food to others during public feasts. 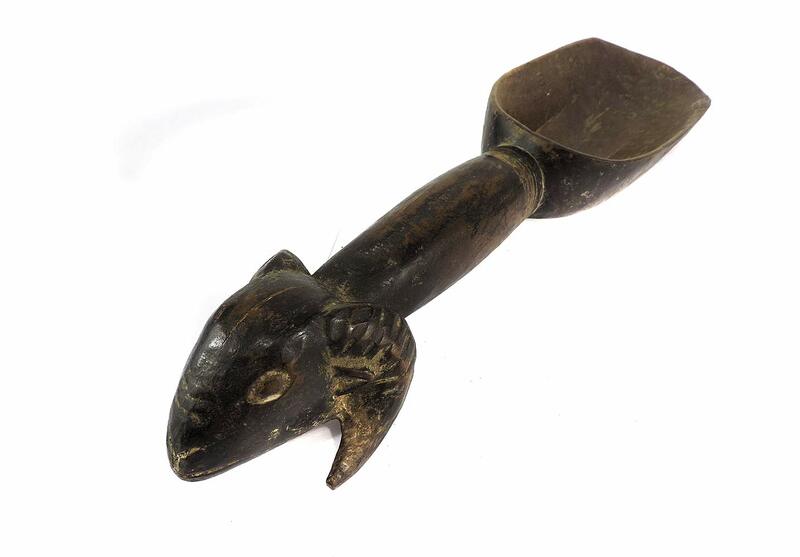 Known as 'wunkirmian' this spoon with a head as a handle displays undeniably Dan features like the ornate headdress, slim eyes and lips, and concave brow.